Don't worry about driving! We'll pick you up from Avon, Beaver Creek, and Vail! Q: What is the age requirement to drive your own snowmobile? A: We require that drivers be 14 years of age or older in order to drive their own snowmobile. Drivers must be 16 years of age or older for the High Performance Tour. Q: What is the minimum age requirement for children to ride as passengers on a snowmobile? A: Children must be age 2 or older in order to ride as passengers. 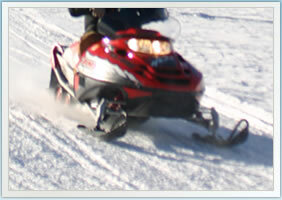 All snowmobile passengers (adults and children) are seated behind the driver. 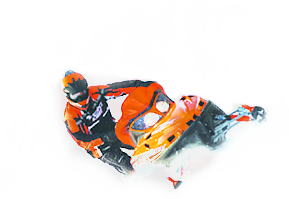 For safety purposes, it is required that a passenger be able to hold on to the driver’s waist or the snowmobile’s passenger seat handlebars. Q: How many guests can ride on each snowmobile? A: Each snowmobile will accommodate a maximum of one driver and one passenger (two people total per snowmobile) regardless of passenger age. A: Yes. 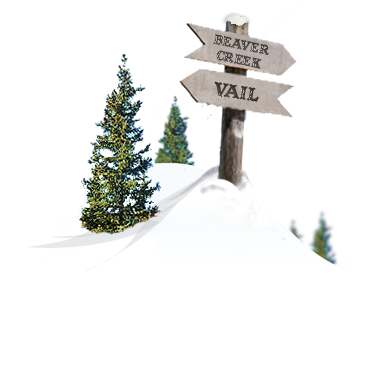 We provide complimentary transportation on our snowmobiling tours from the towns of Beaver Creek, Vail, and Avon, Colorado. Please call for pick-up times and locations. A: Yes! Many of our guests are going Snowmobiling in Vail, Avon, or Beaver Creek for the first time. We’ll provide you with a tutorial covering the operation of your snowmobile and allow you some practice time with it prior to your tour’s departure. 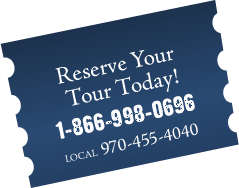 Call our friendly reservations staff and we’ll help you choose the tour that’s right for you based on your desired level of adventure and your location. A: We offer Snowmobiling in Vail, Beaver Creek, and Avon, Colorado with complimentary transportation available to and from these areas to our snowmobile base camps. Q: Some members of our party have brought their own snowmobiles to Colorado. Can they bring their machines on a guided tour? A: Unfortunately, no. Our guided tours require that guests ride a snowmobile provided by the outfitter. If some group members have their own snowmobiles and others do not, the best option to ride together is our Vail Snowmobile Rentals.